Uttarakhand Latest News: Snow Fall in Mussoorie, Mussoorie the Queen of Hills in Uttarakhand: -Mussoorie is one of the best tourist places in Uttarakhand. It is also known as Queen of hills in India. Mussoorie is situated in the Dehradun Districts of Uttarakhand state. Mussoorie is best place to travel in hills. 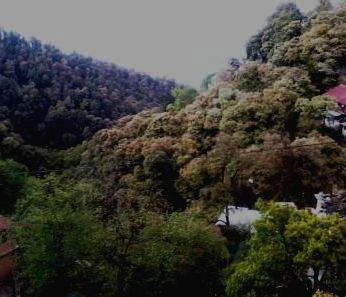 Check here more about Mussoorie Uttarakhand. So as of now the snow is start in the Mussoorie. From last night on 17th Jan 2014 after rain fall the snow falls started in Mussoorie. 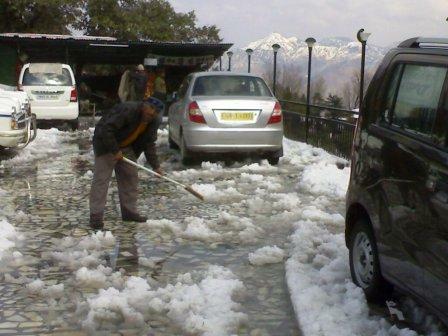 So now all the tourists and visitors can visit the Mussoorie Snow fall. This is the latest News of Uttarakhand. And its surrounding mountains are also covered by snow. So the view will be also very good. So now all the tourists can make their trip to Mussoorie Uttarakhand. Stay connected with us for more updates about news, Uttarakhand, exams, results and other. You may also follow our updates by email subscription. And you can also like us on Facebook to get our all the latest update on your Facebook wall.